It’s my pleasure to announce Heather Martinez as a Certified Visual Coach® given her successful completion of requirements for Visual Coach Certification. Heather likes to joke that she first came across my SHIFT-IT work years ago when she was sitting in a cubicle hating her then job. I’m happy to report that since that first pain-driven encounter she’s radically transformed her own work and life and now is empowered to help others make their shifts too! 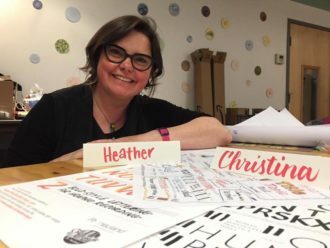 As a Graphic Designer, Artist and Lettering Aficionado, Heather came to her first course with me (Fundamentals of Working Visually) preloaded with useful skills that were very transferable to the Visual Process niche. Since then she’s systematically made her way through my full curriculum and it’s been a sincere pleasure to see her sprout, blossom and grow! Initially she began as a Graphic Recorder (I referred her first independent gig). Eventually she relocated to Washington, D.C. and helped form a now infamous internal Visioneering team. 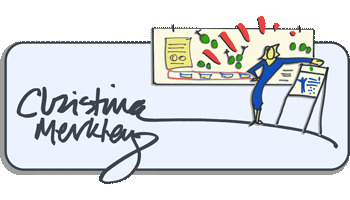 She eventually expanded into the Graphic Facilitator role and serves as a trusted Neuland Ambassador, expertly explaining the ins and outs of their markers and other tools of the trade. A busy bee is she, I’ve watched her develop a suite of excellent lettering programs for Visual Practitioners and became a student of hers (she’s good!). 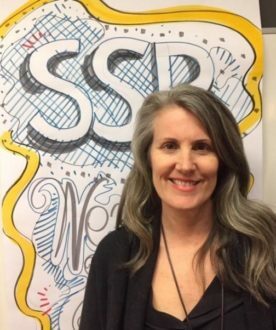 My Fundamentals students all get introduced to Heather and her lettering tips … a full circle experience given the role that course played in Heather’s unfoldment … cool! 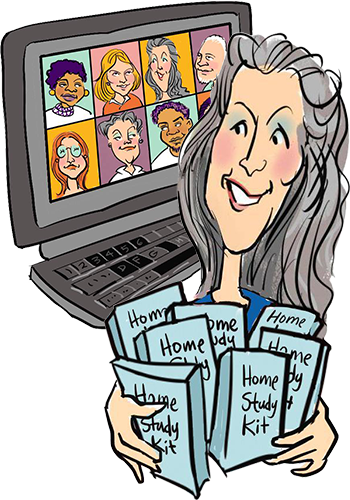 Heather’s a dynamic, determined and talented woman with tenacity to spare. Having her as a student and emergent colleague has been delicious and now the cherry on top is having her out in the world as a Certified Visual Coach®. 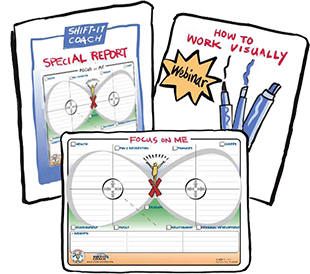 She knows my SHIFT-IT Visual Coaching System® inside and out having lived it to bring about the life she now enjoys. As a licensee of my system, I know my tools are in good capable hands and she’ll represent them well. She holds space in her own unique way to bring about the shifts that her clients desire and it’s a beautiful thing to behold … literally given her lettering chops! I look forward to the ongoing unfoldment of Heather’s life as she continues to authentically express her mission in the world at this crucial time for humanity. Go Heather! Well done!